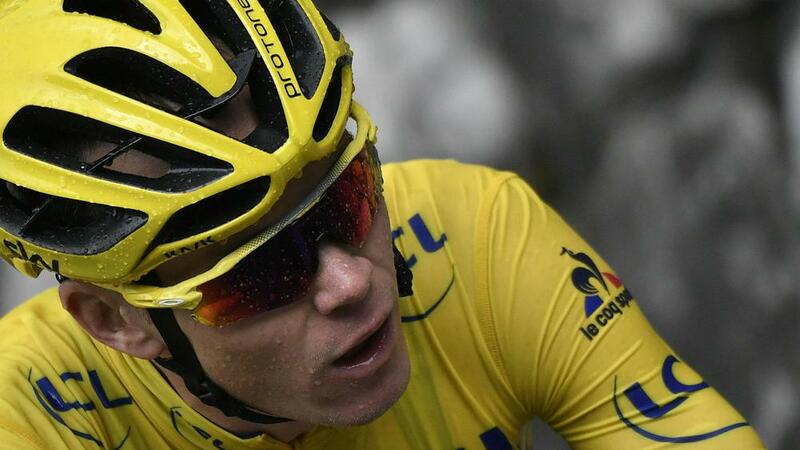 Chris Froome will win his third Tour de France in four years on Sunday after he maintained his advantage on the penultimate stage, which was won by Jon Izaguirre. Team Sky's Froome, who claimed Tour glory in 2013 and 2015, came into Saturday's 20th stage between Megeve and Morzine holding a comfortable lead of four minutes and 11 seconds. That gap to Romain Bardet was cut by just six seconds as Froome - involved in a crash on Friday - safely navigated the fearsome final descent from the Col de Joux Plane in sodden conditions. With Sunday's final stage into Paris little more than a procession, Froome will celebrate a hat-trick of Tour victories, barring any unforeseen mishaps. It was also a day for Movistar's Izaguirre to celebrate, as he came home comfortably ahead of Jarlinson Pantano and Vincenzo Nibali to claim his first Tour stage victory. IAM Racing's Pantano was 19 seconds adrift, while Nibali of Astana was a further 23secs behind after Izaguirre dropped the duo on the closing descent. In the peloton, Froome was able to comfortably cruise home surrounded by his Team Sky colleagues, with no other GC contender willing to try and bridge the significant gap and potentially risk losing places with a crash in the difficult conditions. Froome crossed the line with a relieved smile on his face, safe in the knowledge he will become the first man to win back-to-back Tours since Miguel Indurain in the mid 1990s, excluding the expunged results of Lance Armstrong.